With our online booking system, it’s never been easier to see when we are available, or to find a time that suits. 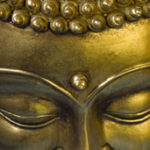 Monday to Friday 8.30 am–6 pm. To ensure that you have a range of payment options, we accept cash, cheques and EFTPOS (credit is not available). 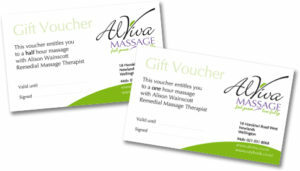 Give the gift of better health with an AlViva Massage Gift Voucher. You can collect your voucher directly from our clinic, or if this is not convenient, simply call us, and we will arrange for it to be delivered by post or email.